Published: April 17, 2008 at 05:43 p.m. 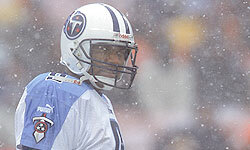 In 13 NFL seasons, Steve McNair won a league MVP award and led the Tennessee Titans to a Super Bowl. OWINGS MILLS, Md. 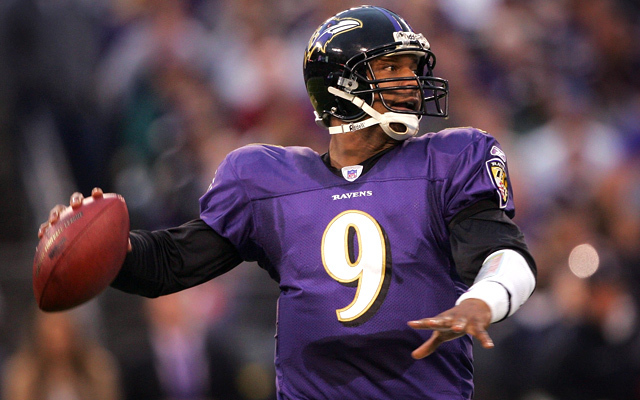 -- Steve McNair intended to complete the final three years of his contract with the Baltimore Ravens. He worked hard during the offseason and arrived at minicamp ready to assume his role as the starting quarterback. McNair announced his retirement Thursday, ending a 13-year career in which he was selected co-MVP, led the Tennessee Titans to the Super Bowl and orchestrated the most successful regular season in the Ravens history. He received a standing ovation from his teammates after revealing his decision, then contained his emotions during a hastily arranged news conference. "Coming out and making this decision, it was hard," he said. 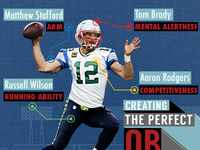 "In your mind, you feel like you can play, that you can still compete. But when your mind and your body are not in accord, it's not going to work in the National Football League. "My mind was there. Mentally, I could go out and play. But physically, I couldn't do it anymore. Not to the capacity that I need to help my teammates win a football game." The 35-year-old McNair guided the Ravens to a franchise-best 13-3 record in 2006, his first season in Baltimore. But he injured his groin during the season opener last season and never regained the form that enabled him to earn a berth in four Pro Bowls. McNair developed back and shoulder injuries and played in only six games in 2007. 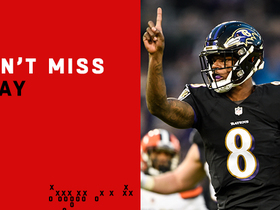 He threw only two touchdown passes, was intercepted four times and lost seven fumbles before being placed on injured reserve in December, ending his most frustrating season in the NFL. He underwent surgery on his non-throwing shoulder in December and spent much of the past three months getting ready for his 14th NFL season. But McNair had an inkling that all the running and weightlifting might be for naught. "My mind was telling me, 'Yes,' and my body was like, 'No, what are you doing?' I came up with (the idea of retiring) two or three days ago, but it's been lingering ever since December." The news stunned his teammates, who expected McNair to return -- if only to prove last season was fluke. "I thought I was going to get at least one more year, because I know Steve has a big chip on his shoulder," said receiver Derrick Mason, who also played with McNair on the Titans. Brad Hopkins, who protected McNair's blind side at left tackle with the Titans, said, "Sure, he had a multitude of injuries and what not. Some way, he always found his way back to the field. For Steve to retire, it's a big deal. 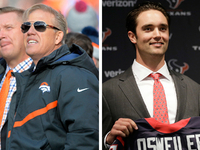 You don't usually see that caliber of player come through the NFL on a daily basis." Steve McNair is one of three quarterbacks to pass for more than 30,000 yards and rush for more than 3,500 yards. The other two quarterbacks are in the Pro Football Hall of Fame. The highlight of McNair's career might be a five-game stretch at the end of the 2002 season in which the quarterback was banged up so much he could not practice. 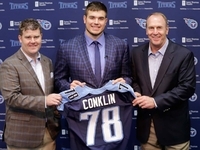 Yet, he started all five games and led the Titans to wins to finish 11-5 and reach the AFC Championship Game for the second time in four seasons. "If you don't take those things into consideration when talking about Steve and the accomplishments he made, you're missing the point of the whole thing," Hopkins said. "He did it, and he's always done it as a competitor. 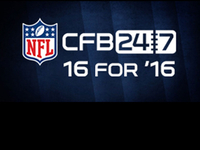 He's one of those guys you want your young quarterbacks to be like him as far as the toughness." The Ravens now have two quarterbacks: Kyle Boller and Troy Smith. 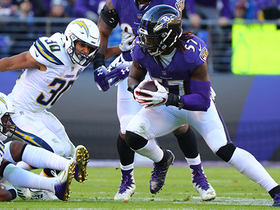 First-year coach John Harbaugh said there would be an open competition for the starting job, and general manager Ozzie Newsome insisted the loss of McNair would have "no impact" on the team's direction in the NFL Draft later this month. McNair began his career in 1995 with the Houston Oilers, who eventually became the Tennessee Titans. He led the team to four playoff appearances, including the Super Bowl after the 1999 season. He was chosen co-MVP of the league in 2003, sharing the award with Peyton Manning, after throwing for 3,215 yards and 24 touchdowns with only seven interceptions. McNair fought injuries during the latter part of his career with Tennessee and was dealt to the Ravens in June 2006 for a fourth-round draft pick. He had every intention of completing the five-year contract he signed with Baltimore, but those old wounds finally caught up to him. "Over 13 years, I had a lot of injuries because I played the game physical, because I gave 110 percent every game," McNair said. 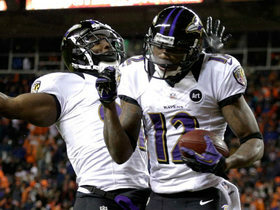 In his first season with Baltimore, McNair played in all 16 games and finished the season with an invitation to play in his fourth Pro Bowl. 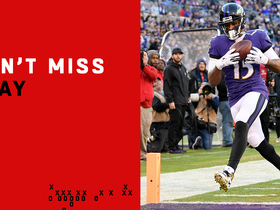 He threw for 3,050 yards and 16 touchdowns, but was intercepted twice in the Ravens' 15-6 playoff loss to Indianapolis. Last year, however, was a disaster. After McNair got off to a horrid start, then-coach Brian Billick held the quarterback out for two consecutive weeks before an Oct. 28 bye, hoping the rest would enable the veteran to heal. But McNair was ineffective upon his return: He lost two fumbles and threw an interception in a 38-7 defeat at Pittsburgh, then threw for only 128 yards before being replaced in the fourth quarter of a 21-7 loss to Cincinnati. It turned out to be the last game of his career. "It's been a great ride," he said. "It's a sad, emotional day for me. I'm trying to do the best I can to hold it in. But at the same time, I'm opening up a lot more doors for the future. I can become now the father I need to be to my kids." Linebacker Ray Lewis, who had many memorable duels with McNair before the two became teammates, said, "There is no greater warrior or player with a bigger heart than Steve McNair. "He came into this game and gave it everything he had. He now can walk away with his head held high."